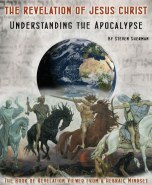 End Times Prophecy Must Be Studied with a "Hebraic-Mind Set"
Remez ('hint') -- this is where a word, phrase, or some other element in the passage 'hints' as a truth not conveyed by the plain and simple p'shat level of understanding. Why has God ordained praise from their lips? - To silence his enemies. Jesus is hinting that the enemies of God are the chief priests and Torah teachers of his day. Drash or midrash ("search") -- this is a further step of interpretation that is more removed. Sod ("secret") – means that the mystical or hidden meaning can be arrived at by investigating the correlation of Hebrew letters, numerical values, unusual spellings, transposing letters and reinterpreting words, etc. In other words, this level assumes that God hides the deepest meanings in the smallest letters or number values of the Hebrew words.